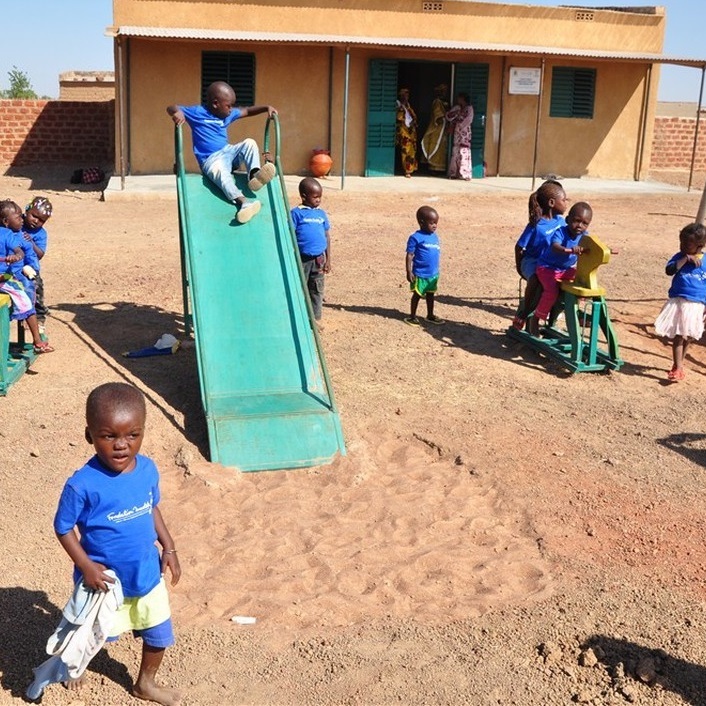 In Burkina Faso, the Mustela Foundation continued the support it has given since 2009 to Sœur Emmanuelle (ASMAE), an international humanitarian organization which supports disadvantaged children, with a donation of €20,000 in 2014. The grant funded a project called “Helping raise educational standards for a better future in Ouagadougou and Koulpélogo, Burkina Faso”. ASMAE relies on local organizations to carry out its activities in the field – in this case, Idebak and ICCV (Initiative Communautaire Changer la Vie). The aim of the project is to improve facilities at ICCV centers in Ouagadougou and Koulpélogo, in east-central Burkina Faso. The ICCV center in the country’s capital has a nursery school for 90 children and a library. It offers children educational support and organizes fun, artistic and sporting activities. Open seven days a week until late at night (many pupils do not have electricity at home), the community library offers access to over 2,100 books, despite difficult living conditions. It is used by 1,700 people a year, 94% of whom are children. setting up school infirmaries in five particularly isolated villages in the region to provide basic first aid and avoid the debt sometimes caused by children being hospitalized far from the village where they live. Some 2,510 children in Burkina Faso have benefited from the project.